With the burgeoning trend of on demand apps, every industry is adopting Uber For X business model to streamline and target the maximum customer base. In the same time, the gas on demand industry is also gaining momentum by providing online gasoline delivery service to the people in needy time. What is on demand gas delivery app? A gas app/fuel app is trending buzzword in the market areas of EMEA. 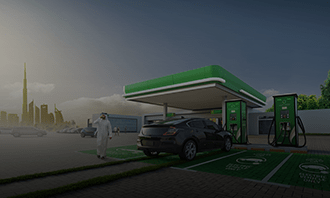 Using on demand fuel delivery app, users can request for the flammable liquid whenever they need to fuel up their vehicle without visiting the gas stations. 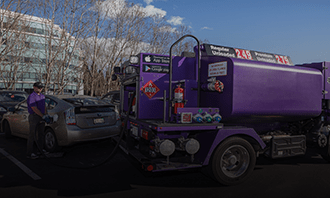 After getting the online request for the fuel delivery service, an agent will reach the location of a customer with a mini-tankers or trucks to fuel the stopped vehicle. Saudi Arabia, the United States, and Russia are the largest producer of gasoline. To disrupt the oil and gas industry market, entrepreneurs from these areas are investing their million of dollars into the best mobile app development company to get gas delivery service app solutions for their business. If you also want to be a game changer in your niche then get in touch with us for your custom gasoline delivery app. We provide custom mobile app development solutions which can succour every kind of gasoline delivery business models. Make a network pipeline between the customers and retailers to earn a commission out of it by delivering gas/fuel on demand. Manage each fuel or gas retail outlets using the single dashboard and track the sale of each outlets using analytics graph. Connect every customer with your gasoline delivery app which assists them in road-side problems due to lack of fuel/gas. Customer or restaurant owner can easily learn and get the idea that how to use the app via welcome screens. 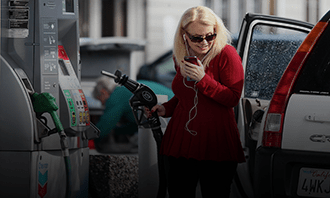 A customer can easily create an account by entering his/her contact number, email id, and restaurant or other address where they need to receive gas or fuel. A customer or restaurant manager can easily schedule the pick-up and delivery date and time for fuel or gas as per their requirement in a kitchen or vehicle. A customer can track the fuel or gas delivery tanker and delivery agent in their mobile app whenever they need it. A restaurant manager or customer can get the idea about the pricing of fuel or gas before making an order. Sometimes prices can be get fluctuate. If a restaurant manager or customer needs the same fuel or gas in the previous quantity then they can request for an order in just a second via Reorder feature. A kitchen manager or customer can get a real-time push or SMS notifications related to order status, coupons, and discounts. A customer or restaurant manager can check the previous order status with history including price and ordered items anytime. A customer or restaurant owner can add multiple delivery locations where they need to receive fuel or gas. A customer or restaurant manager will receive the digital invoice on their registered email account after placing the order. A restaurant manager or customer can pay for the fuel or gas using multiple modes. A customer can share his/her fuel or gas delivery experience on the app which helps the owner to get the idea about the ongoing business. A restaurant manager or customer can seek any type of help related to fuel or gas delivery business via interacting with the support team. An owner can operate and manage the working process of an app using a single dashboard. An admin can add and manage the new vendors and other staff members. In the vendor panel, admin can easily check the rating, profile, sales and other useful information of any vendor. By using the staff panel, the owner can check the profile, work delivered, behavior and other essential information of each employee. An admin can add, and update the price of fuel or gas commodity, distance, and cancellation charge cost anytime as per the business requirements. An owner or admin can track the location of fuel or gas delivery agents or drivers to find out the actual delay in a delivery process. An admin can know the customer purchasing behavior, pending payments, sales, and feedback provided by them. An owner or admin can send notifications using push or SMS related to the offers, discounts, app updates, and other business promotion stuff. An owner can receive the funds using the multiple payment channels like debit/credit cards, crypto coins, wallets, PayPal, stripe, and country-oriented payment gateways. An admin can receive the review of their services using the in-built feedback panel and make the decision appropriately to succor the business in the future. An owner can run the ad campaign in the app by using the ad management tool to engage more potential customers in business. An owner can generate the reports by daily, weekly, monthly or yearly selection filters for the sales, expenses, staff, and vendors. A manager can easily view and update the profile, salary, attendance, and worksheets of the employees working inside your fuel pump or gas stations. A manager can easily update the overall cost of fuel and gas as per decided price, distance cost and cancellation charge. A manager can easily track the fuel tanker or gas loaded vehicle in case of late processing of the orders and to check the credibility of the delivery agent using integrated maps. A manager can view and manage the profile, shopping behavior, and pending payments of customers using this app. A manager can send push/SMS notifications to the customers by providing scheme coupons, discounts, and other essential information related to the app which helps to hike the customer retention ratio. A manager can get a detailed report of his/her sales, customer growth, profit, and loss graph. A manager can view the graphical or tabular format representation of data which are collected by the app on a daily basis to estimate the flow of business and the future decisions. A manager can maintain the stock of fuel or gas. They will get a notification when the stock of fuel or gas will go below the decided storage limit. A driver or an agent can update the status of delivery whether it is accepted by the customer or not. A driver or an agent can track the location of a customer or restaurant manager using the optimized shortest routes. A driver or an agent can view and update his/her profile like a photo, bank account, and vehicle information. After the successful delivery of fuel or gas, an agent or driver will take a digital signature on the app as acceptable proof. A driver or an agent can get real-time fuel or gas delivery order request via customer or manually by the manager.